Nowadays most online casinos boast a large option of table and card games. You can find a number of Roulette tables at almost every online casino out there. 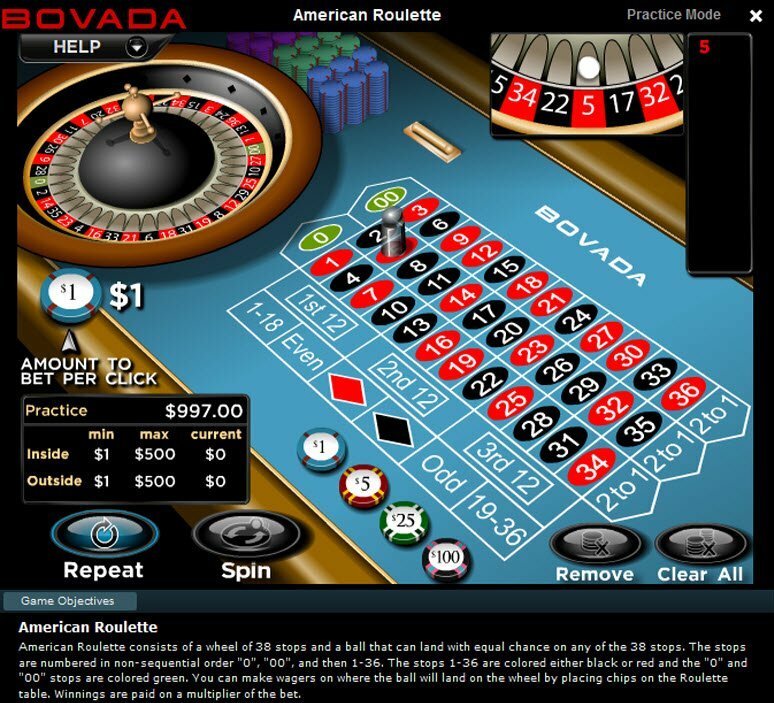 With Bovada Casino, you have the opportunity to play American and European Roulette with decent quality graphics. Real Time Gaming online Roulette games include two versions of the classic casino game including American Online Roulette and European Online Roulette. You can play both versions at Bovada Casino. However, Bovada Casino does not offer the French version of the table game. However, with Real Time Gaming's Roulette you can enjoy the look and feel of a real Roulette table from the comfort of your own home. Powered by the Real Time Gaming software platform, the Roulette tables have some decent quality graphics that stream seamlessly online. Although the graphics may not measure up against some other online Roulette games available on the internet, you can still expect relatively well-designed graphics from Real Time Gaming. Real Time Gaming’s Roulette games will test your patience as it takes a few minutes to load when you play the first game. However, after playing for the first time, the game loads pretty quickly when you return to play again. 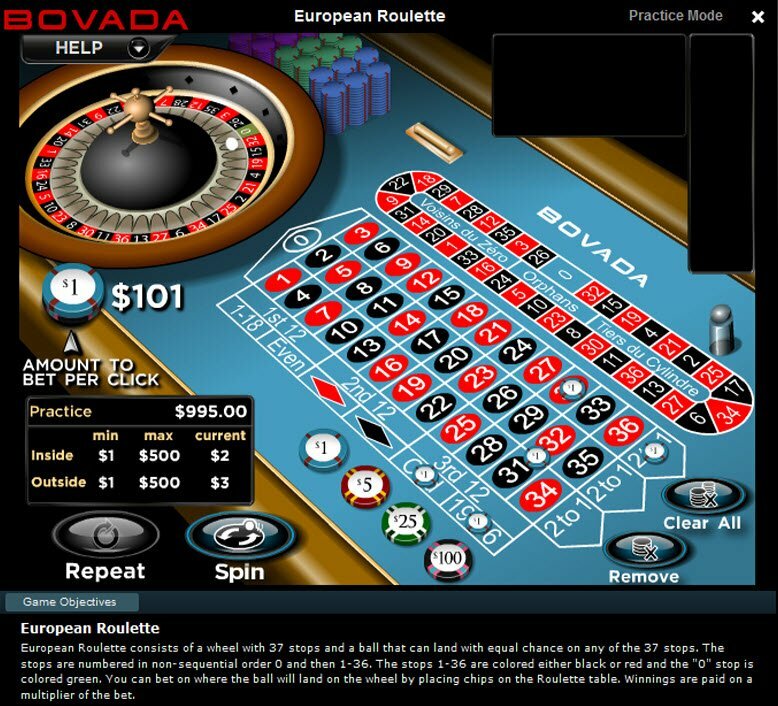 With Bovada Casino’s Roulette, you can enjoy the look and feel of a real Roulette table from the comfort of your own home. 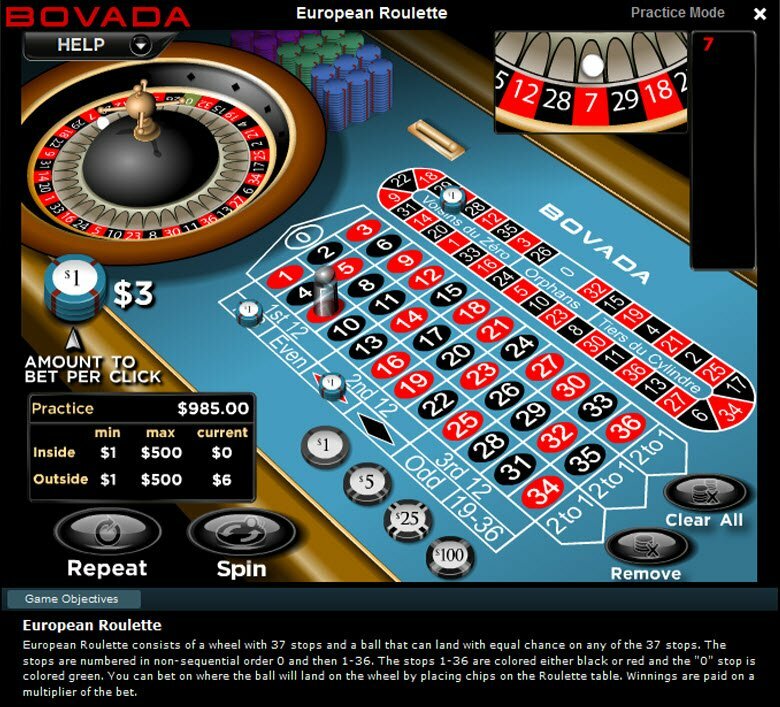 Bovada Casino offers two different Roulette options, American and European Roulette. Unfortunately, Bovada Casino does not host French Online Roulette. The American Roulette table consists of a wheel of 38 stops and ball that can land with equal chance on any of the 38 stops. The stops number in non-sequential order with 0, 00, and then 1-36. The European Roulette table includes a wheel with 37 stops and a ball that can land with equal change on any of the 37 stops. The stops number in non-sequential order starting with 0 and then 1-36.